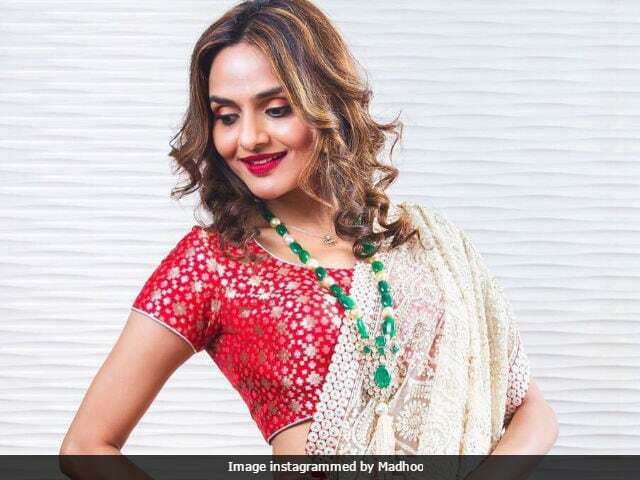 Actress Madhoo, best known for her role in Mani Ratnam's Roja, is all set to make her small screen debut in the upcoming television show Aarambh, reports Times Of India. Aarambh is the story of the rise and triumphs of Devasena, the resolute princess of the Dravidian clan. The character of Devasena was popularised by actress Anushka Shetty in the Baahubali film series. However, the Devasena of Baahubali and the Devasena of Aarambh, have no similarity except for their names and the fact that they are both strong-willed women. In the show, Madhoo will play the role of Devasena's mother, which according to a Times Of India report, is similar to the character of Sivagami in the film series. The story of Aarambh is written by K V Vijayendra Prasad, father of filmmaker S S Rajamouli, who helmed the Baahubali series. Actress Karthika Nair, daughter of former actress Radha, plays the lead role in Aarambh. Talking about how she was cast as small screen's Devasena, Karthika told news agency IANS: "When I heard the role and got to know that it has been written by K V Vijayendra Prasad sir, it was so amazing that I couldn't say no. It's rare for a lady to get such amazing role in the male-dominated industry. Also, it's just an eight-month-long project." The date is finally set!! Bollywood actress Tanuja also features in the show, which is co-produced by Goldie Behl. Tanuja, who plays the role of Hahuma, says that the show tells "how and why a matriarchal society became a patriarchal one." She told IANS: "Aarambh is a different show as its story is unique. The basic topic that this show highlights is the matriarchal society during Dravidian clans. During that time, the ruler was the queen and everybody used to obey to her decisions. Men basically were the protectors and in the army. Women were also in the army, but they were the leaders. Today men are given more importance in the society, which should be balanced." Aarambh also stars Joy Sen Gupta and Hannssa Singh as part of the Dravidian clan while actor Rajniesh Duggall plays the role of Varundev, a warrior from the Aryan clan. Aarambh is a finite series of 65 episodes. Madhoo: Why Can't a Heroine be a Middle-Aged Lady?